Every great business has a secret to success. We understand the need to see the big picture, take an agile approach to figure out what works and what doesn't, and solve the marketing problem, taking your brand from good to great. We know it's about proving results. And we aren't afraid of being accountable to them. But why stop there? Multiply those results by filling the top and middle of the funnel until your boss says "Slow down; it's too much to manage." Let's streamline the tools, strategies, and tasks that may seem overwhelming. Our partnership shouldn't just make your boss happy, it should make you more successful. Reclaim your day and spend energy on things that matter more to you. 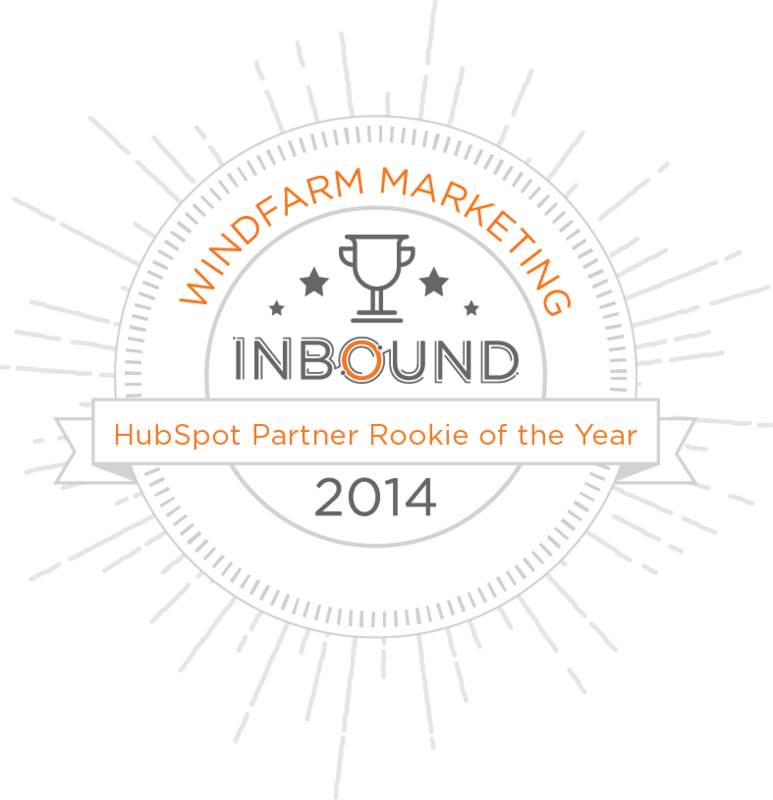 "WindFarm integrates inbound into every aspect of their business, marketing, and mission, and the Hubspot Partner Rookie of The Year award is a true testament to their success. Since day one as a HubSpot Partner, their agency has been creating valuable, seamless interactions for their leads, prospects, and customers. Agencies everywhere can learn from their innovative tactics and impressive growth."